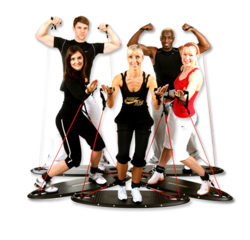 The Freestyler has helped numerous individuals become more healthy and fit. Functional Dynamics, Inc., which produces the Freestyler, is now offering entrepreneurs and businesses the opportunity to become more financially healthy through its distribution program. The Freestyler distribution program is one of the most comprehensive in the fitness industry. The Freestyler is a device that was designed to make physical fitness fun and exciting. It is notable for its simplicity, but its basic design actually allows users to perform hundreds of different exercise routines. This remarkable combination of simplicity with versatility has made the Freestyler one of the more popular pieces of exercise equipment to arrive on the market in some time. Functional Dynamics, Inc. has been successful at marketing the Freestyler through its website and other channels, but the company has decided to enlist the help of a unique distribution network to promote its products further. This exciting distribution program is now available for entrepreneurs and businesses, and it is designed to maximize profits and efficiency for the company, as well as its network of distributors. Exercise enthusiasts or those who are simply interested in earning more money are encouraged to consider joining the network, but interested parties should know that certain guidelines must be met in order to become a Freestyler distributor. For example, potential distributors must provide localization materials appropriate for their territories, plus they must perform an appropriate translation of the Freestyler promotional content. Additionally, potential distributors must submit a proposal to the company to be considered for an initial meeting. Once a proposal for distribution has been accepted by Functional Dynamics, Inc., new distributors are given all of the tools needed to distribute Freestyler products successfully. These tools include the entire Freestyler webpage including all subpages, a video center which includes a number of helpful promotional video clips, access to a comprehensive education center and access to the lucrative affiliate program. Additionally, each distributor is allowed to set up a Freestyler Fitness Shop site, which is connected to the distributor's bank account. A number of other tools involving social media and sharing are also available for new distributors. The Freestyler distribution program is one of the most comprehensive in the fitness industry. Thanks to the program, Functional Dynamics has been able to grow quickly through increased sales of its Freestyler product. Moreover, the company's network of distributors has been able to share in the profits through this lucrative program. Functional Dynamics, Inc. is a global company that is focused upon the development and production of superior functional training programs and equipment. The company uses the knowledge of the industry's top experts to design its products and educate the public about them. The company's flagship product is the Freestyler exercise apparatus, which embodies the company's philosophy of functional training in a simple and ideal fashion. For additional information about the Freestyler distribution program offered by Functional Dynamics, Inc., interested parties can visit the company's distributor website at http://affiliate.freestyler.net/distributor.html. More information about the Freestyler can be found at http://freestyler.net/.